Here’s how the study went down: 115 people were recruited from a local shopping mall in New York to participate. Participants were asked to evaluate three pairs of products: two yogurts, two cookies and two potato chip portions. One item from each food pair was labeled “organic,” while the other was labeled “regular.” The trick was: all of the product pairs were organic and identical. Participants were asked to rate the taste and caloric content of each item, and how much they would be willing to pay for the items. The results: Despite the product pairs being the same, the “organic” label influenced people’s perceptions. The study says the cookies and yogurt were estimated to have significantly fewer calories when labeled “organic” and people were willing to pay up to 23 per cent more for them. The nutritional aspects of these foods were also greatly biased by the health halo effect, according to the study. The “organic” cookies and yogurt were said to taste lower in fat than the “regular” variety and the “organic” cookies and chips were thought to be more nutritious. People’s taste buds were even affected. The “organic” chips seemed more appetizing and the yogurt more flavourful. 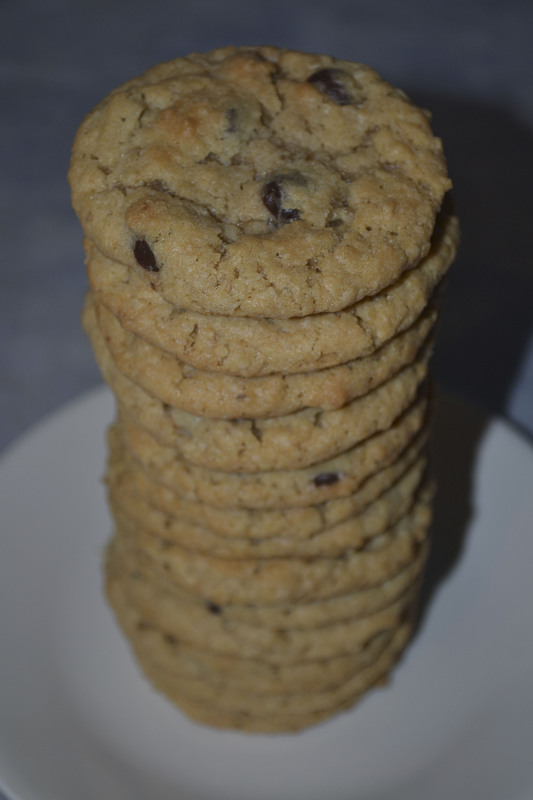 A tower of “regular” cookies. The study results don’t surprise me – they confirm what I already know. Put an organic label on something and most consumers immediately think it’s healthier. Organic labels can be very powerful. These people who are under the “health halo effect” believe organic food is healthier, and this is not necessarily the case. An organic cookie is still a cookie. Let’s call a spade a spade. If you want to spend more money on a food item simply because it’s labelled organic and it may or may not be healthier for you, go ahead. But I won’t be. High priced organic food is great for those who can afford it. But what about the majority of the population that can’t? Are they stuck buying food that’s less healthy because it’s not organic? Absolutely not. There’s nothing wrong with regular food. I encourage all consumers to read the label carefully when shopping for organic food. This is not a cut and dry issue: organic = good, regular = bad. Do your homework and avoid being lured into an organic illusion. What do you think? Do you believe organic food is healthier than regular food? Will you only buy organic food? Please comment below.